Good old waitrose has surpassed expectations with these delicious profiteroles. The texture combination of the creamy filling, soft icing and sugar crystals decor are truly delightful. The bright pink icing truly drew my eye to this product whilst pondering around the desserts isle at Waitrose; the attraction didn’t stop there. 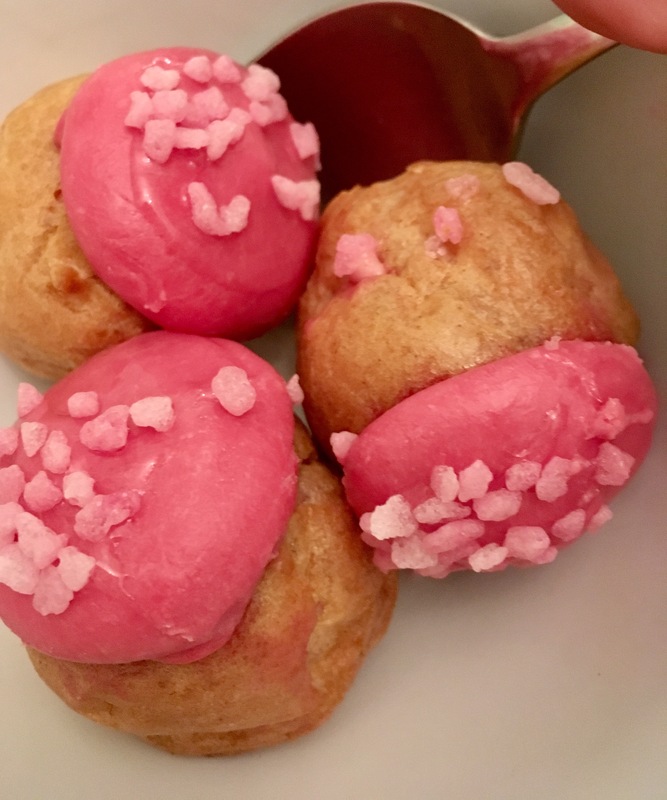 The quality of this product, with it’s strongly rose infused icing, the flavour lasting on the tongue, has meant this dessert has truly added a burst of joy to my evening. So quickly, buy if possible! I highly recommend.